Want to easily add a rear camera to your factory screen but can’t access its camera input? Not to worry. The Alpine SGS-CH01 Factory Radio Camera Interface will not only unlock the camera input of your factory radio to add an Alpine rear or front camera, but it also overlays dynamic Active Guide Lines directly on the screen. The Alpine SGS-CH01 comes with the necessary software to enable the camera video input on your compatible factory Wrangler JK screen. Simply set the dip switches for your compatible year Wrangler JK and you’re all set. Harnesses and plugs are also included for a secure, seamless and simple installation. 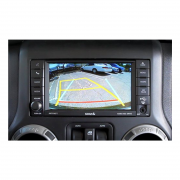 For Jeep Wrangler JK owners with factory radios, adding a backup camera isn’t as difficult as you once thought. Simply add the Alpine HCE-TCAM-1 Rear Camera System for 2007-2018 Jeep Wrangler JK or HCE-C1100 Universal Camera as the rear camera and pair it with the Alpine SGS-CH01 through plug & play compatibility. 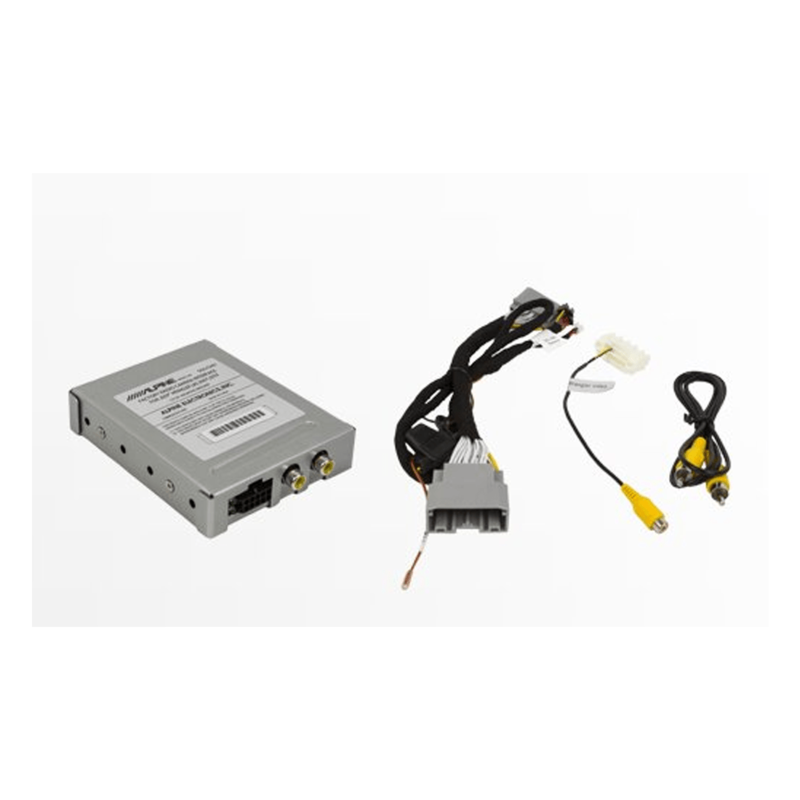 The HCE-TCAM1-WRA installs on the spare tire mount and serves as a rear camera, LED reverse light, and third brake light. Do you ever need to monitor the safety of your trailer while towing? The Alpine SGS-CH01 has a camera trigger that allows you to do just that. Add a rocker style switch (not included) to the SGS-CH01 to activate your view from the rear camera.